TARTE LIPSURGENCE I am a big time lipstick hoarder and just cannot resist the urge to stock more and more lipsticks. No pencil sharpener needed. To advance lip tint, twist pencil base clockwise. Apply as you would a lipstick--it's goof-proof. PIZZAZZ : its a cherry red - Crimson color with Creamy Finish. 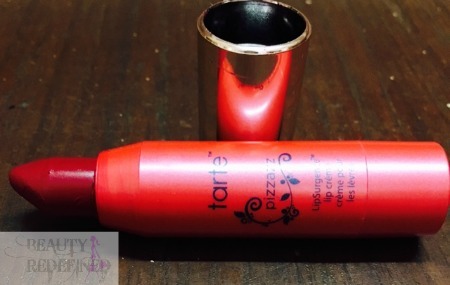 Packaging : The Tarte Lip Surgence lip creme comes in a twist up crayon packaging. It has the same color as the lipcolor shade which makes it quite easy to locate shades. With a very pretty golden cap that fits just tightly. Texture : The formula is very creamy and glides on smoothly without any tugging and is adequately hydrating on the lips. Pigmentation : The pigmentation is good and gives opaque coverage in a single swipes. It’s a beautiful shade that would suit fair medium and deeper skin tones well. Lasting : The staying power of this shade is extremely good It wears for a solid six hours without feathering, losing intensity and after that leaves a slight stain. It fades evenly without appearing patchy. Because of the creamy texture, it transfers alot. 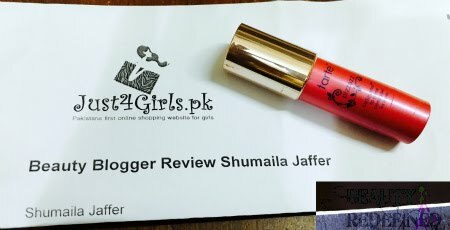 Scent : The lipstick smells of fresh mint and leaves a cooling sensation on application which last for quite few minutes unlike any other lipsticks i have tried. Price & Availability : it's availble in 2 sizes. deluxe is priced 999 PKR and the full sized is 2199 at Just4girls. 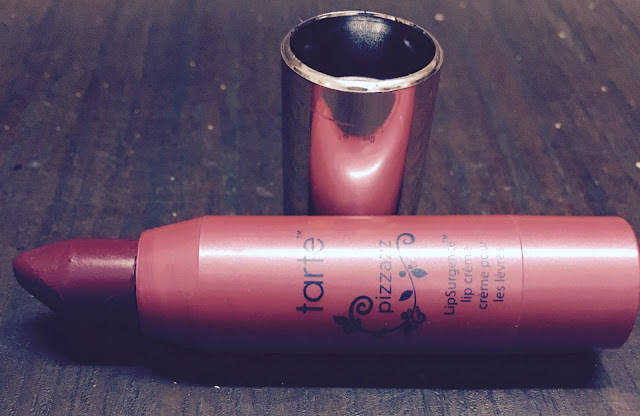 You can Avail 5% discount while shopping your Just4girls.pk using code "J4GBR5"
HAVE YOU TRIED TARTE'S LIP SURGENCE? WHICH IS YOUR FAVOURTIE SHADE? Love the color, it look gorgeous on you. Love your review. It was worth to read. Love the shade.. is it really long lasting? Love the shade but is it really long lasting? It is such a pretty shade, to bad that it transfers a lot. Love your detailed reviews! I have this lippie too! I own one LipSurgence, but it's not the best color for me so I rarely do wear it. I need to try more shades! 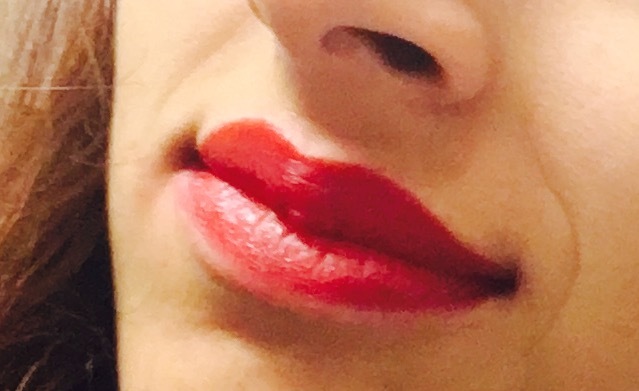 Gorgeous shade but I definitely prefer a matte finish when I rock red! Nice review though. 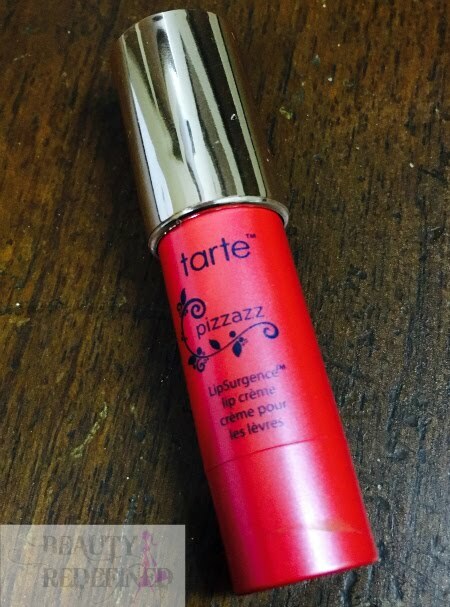 I love these Tarte lippies, they feel so comfortable on the lips! I've been looking for a shade like this! Very pretty! I like that it doesn't dry the lips too! My lips are so dry in the winter time. The shade looks gorgeous!! Too bad it transfers.